The goal of the Pacific Station Townhomes Project was to create living space with contemporary appeal, in a location with close and easy access to recreation and great shopping. 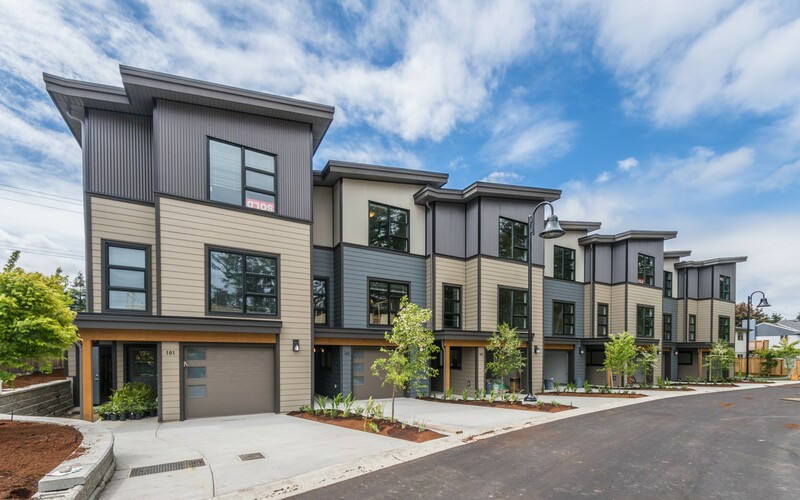 Outside, the development features a classic West Coast appearance, metal cladding, private decks, hardie plank siding and professionally manicured landscaping. Inside, every unit has 9’ tall ceilings, custom made local cabinets, contemporary lighting, energy efficient appliances and modern finishes. Every unit includes a single car enclosed garage with additional parking outside. Two pets are allowed and rentals are being permitted. Only steps away from great hiking, biking, nature and shopping, the Pacific Townhomes are close to the Northridge Gym Recreation Centre, the Brannen Lake Boat Launch and the Parkway Trail. The result is a truly inspired development with work/life balance in mind.